Let 2012 be the year you make a commitment to get your website in order and see the positive effects it can have on your business. The New Year seems to find us all setting goals for our business. Do any of yours include the following? Incorporating SEO into your marketing mix can help you meet these goals but the future of SEO is changing dramatically. You need to stay on top of these changes if you expect SEO to have any positive impact for you. 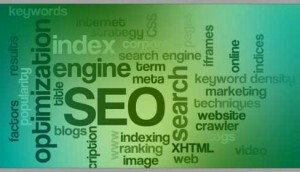 The most important piece is your website SEO foundation. You have to begin there and manage and monitor those efforts. This still represents 20% of your overall impact of being found online. But the other 80% of the equation is constantly evolving. I find that small changes to search engine algorithms (the equations that determine where you fall in the search results) happen monthly. Perhaps they don’t impact a website or cause huge fluctuations in rankings immediately, but big changes happen one piece at a time over several months and years. These gradual changes, when looked at in the bigger picture, can be considerable, often impacting website rankings, traffic and shifts in valued website content. A great example of these changes can be seen in the priority given in the past year to local search. Google created more opportunities for local businesses to be found with the expansion of Google Places and search engine results in local maps and on mobile search. If your business depends on local customers, optimizing for local search has become even more important heading into the New Year. Do you know how to capitalize on this new opportunity for your business? SEO isn’t just about search engine algorithms or keywords on a page. It’s about connecting with your customers and figuring out the core service you provide them. It’s where you begin, it’s what’s you measure, and it’s what you tweak constantly to stay on track. My prediction for the future of SEO is that it will get more technical and hyper-focused on the customer. Search engines will find a way to push the sites with the most valuable content to the top to serve that customer. They will not be fooled by keyword stuffing, doorway pages and a handful of backlinks. Search engines will be on the lookout for real time results from your business. Do you know how to get those? As we begin the New Year, it’s a good time to talk about how you can better position your business online to keep up with these changes and ones yet to come. Fill out our free website analysis to get started or contact us today. Stay tuned for my next post to read the top 10 things you can do to improve your website search engine optimization in 2012.